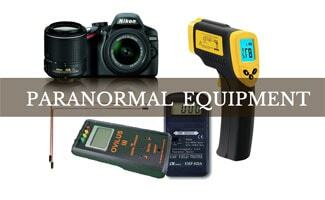 Paranormal investigators rely upon a large number of paranormal investigation equipment and methods to monitor paranormal activity. But you don’t have to be a professional or certified to put these tools to the test to see if another life exists. We’ll take a look at the various gadgets and techniques used to discover if there are signs of an alternative force or paranormal existence in your life. The reel-to-reel recorder has been replaced these days for the most part by the handheld digital recorder. EVPs or Electronic Voice Phenomena are thought to be captured on these audio devices as spirits utilize energy within a room to speak on frequencies that are not heard by the human ear but can be captured on audio recording equipment. The term “Jacob’s Ladder” refers to a ladder that Jacob dreamed of in the Book of Genesis that led straight to heaven. In the paranormal field, however, the Jacob’s Ladder refers to a high voltage traveling arc. This piece of equipment utilizes two pieces of wire that stand vertically parallel to each other with a continuous train of electrical sparks that pass between the two wires forming something of an electrical ladder. As the electrical impulse travels up the wires they form an arc at the top of the ladder. The Jacob’s Ladder emits a loud electrical buzzing noise and it is believed that the sheer power of the electrical current rising through the arc can be utilized as a type of battery for spirits to utilize to communicate. It is the belief of many paranormal investigators that paranormal entities implement energy either that from electricity or from living beings to manifest themselves. Jacob’s Ladders can be particularly dangerous due to the sparks and heat that they put off and are generally not relied upon by paranormal investigators as much as they once were. An EMF meter or an Electromagnetic Field Meter is an instrument utilized to measure electromagnetic fields throughout locations that are believed to be sites of paranormal activity. It is believed that due to the amount of energy that the paranormal entities must utilize to manifest themselves, that an EMF detector can be used to show paranormal activity by measuring changes in EMF’s. Infrared thermometers or even infrared cameras are often utilized to track distortions in temperatures in a “haunted” location. Many times when individuals suspect paranormal activity within their home or structure they cite sudden changes in temperature such as seeing their breath on the air and using these types of thermometers can determine such changes on the surfaces of items within the room. Trigger objects is a term that is used to describe anything that is used to lure a paranormal entity in to manifesting. Many investigators will utilize toys to tempt child spirits to “come and play” thereby manifesting themselves, likewise bullets, clothing, money and other items can also be used as trigger objects as well. Monitoring movement of trigger objects is the most common method of utilizing this tool of paranormal activity detection. Motion detectors may seem like a strange tool for a paranormal investigator to use due to the fact that these spiritual entities are rarely “seen.” However, many times their activity within an area can be seen. Particularly in the case of poltergeist claims, items within an area can move mysteriously. Most often paranormal investigators will set up “trigger objects” to attract the paranormal entities and leave motion detectors to detect any movement of these trigger objects to capture minimal movement accurately. With the development of many new “ghost hunting” techniques fewer paranormal investigators rely upon dowsing rods to detect paranormal activity any more. Dowsing rods are two ‘L’ shaped rods that are held one in each hand. According to those who use these rods the rods can be used to communicate with spirits as the hands hold them in a relaxed nature and allow the spirits to control movement of the rods. Dowsing rods are most often used to point to directions of items or locations or to answer questions posed to the paranormal entities. Psychics are individuals who claim to have a sixth sense that allows them to contact and communicate with the spiritual world. Much skepticism revolves around the supposed talents of mediums and psychics and their use in many types of investigations. Often, paranormal investigators will employ a psychic medium to accompany them to a paranormal location to determine specifics in regards to particular spirits that are claimed to haunt the location. The exact specifics of psychic senses seem to differ from individual to individual but to date the topic of psychic ability is one that is seldom officially addressed by the scientific community. If you are interested in talking to a psychic, a good place to start may be online or via phone. Read our review of Psychic Chat Services to find the best one for your needs. The ovilus is a piece of equipment also known as a ghost box. This electronic device is a newer creation when it comes to paranormal investigative tools and it is a tool that utilizes a word database, an EMF meter and a thermometer. All three of these aspects come together to allow paranormal entities to manipulate energy to “speak” by creating a number that correlates to a word in the ovilus database. Paranormal investigators interpret this to converse with the spirits that they are seeking. The use of the ovilus is questioned by skeptics who question not only the existence of the paranormal but also by those who believe in the paranormal but question the use of such a non-conventional piece of equipment. The ghost box is a piece of equipment that scans rapidly through AM radio stations at such a pace that it would be impossible to hear any particular station. According to paranormal investigators who utilize this technology paranormal entities are able to utilize the frequencies of the AM radio stations to speak. Most commonly the ghost box is utilized for one on one communication with individual spirit entities. The biggest contention that many individuals have with the ghost box is that it is a piece of equipment that attempts to promote the belief in the paranormal rather than simply prove that it already exists, the same is often said of the ovilus. However, for those who believe in these two pieces of equipment they provide a means to communicate and ask direct questions of paranormal entities. Digital cameras are one of the most basic pieces of equipment used in paranormal investigations. Many ghost hunters and investigators believe that entities can be captured in photographs and depending upon who you ask, some photographs have been shown to feature ghostly spirits. There are a number of ways in which paranormal investigators claim that ghostly apparitions make themselves known through photography: as ghostly shapes that resemble people but in a wispy form, an amorphous mist or as small light orbs. Light orbs and amorphous mist are often contended by skeptics due to the possibility that they could be other things such as fog or dust particles moving across the lens. Interviews are one of the oldest methods used by paranormal investigators that are still used frequently today. Paranormal investigators use interviews to collect information from those individuals who have experienced the alleged paranormal activity. Investigators ask questions in regards to a number of elements which can help them to establish what type of paranormal entity they are dealing with. Part of the goal of paranormal research is to establish what type of paranormal entity the investigator is dealing with so that they can determine what types of investigative equipment would be best for the job. Poltergeists are entities that generally attach themselves to a particular person. This type of entity is often recognized by loud unexplained noises and abnormal movement of household items. Poltergeists are a particularly malevolent type of spirit according to those who study them. Ghosts is a term used to describe the residual energy of an entity that was once living. Paranormal experts do not believe that ghosts are intelligent entities and rather they are simply energy that has been left behind. Spirit is a term that is used by paranormal investigators to refer to intelligent spirit entities that have remained on Earth after their physical body has passed. When referring to “ghosts” most often people are referring to spirits. While the term entity can refer to any “thing,” when used by paranormal investigators the term entity refers to a spiritual manifestation that was never human. This definition tends to make people believe that entities are all malevolent; however, entities can be both demons or angels or anything in between. Demons are considered to be a type of entity but more specifically they are characterized in many religious beliefs to be angels that were cast from Heaven by God and are therefore malevolent spirits. Demons are often blamed for possessions and are the focus of exorcism practices performed by priests. So What Is The Paranormal And Why Do We Investigate It? There are those who believe that pursuing the study of the paranormal is provoking malevolent spirits and making oneself a target. However, this is often not true. The term paranormal, as you have seen in this article, does not always refer to malevolent spirits and as such there are many ways that the study of the paranormal can be helpful to those experiencing the paranormal. By definition “paranormal” refers to anything that occurs outside of the “norm” of everyday experience. These types of events cannot be explained by conventional science or reason and this is exactly what makes paranormal investigators want to study it. As human beings we naturally seek explanations to help us to make sense of our surroundings and in the case of the paranormal when we cannot utilize logic or science to explain events, we turn instead to non-conventional methods of explanation. Finding an explanation for the unexplainable isn’t the only reason for studying the paranormal and conducting paranormal investigations though. Often time’s investigators have had personal experiences with the paranormal which have sparked their interest in helping other individuals who have had similar experiences. Experiencing the paranormal can be a frightening thing, particularly when there are so many skeptics in the world. Thus, investigators who have had their own paranormal experiences tend to feel a bond with those who are suffering their own paranormal events and find satisfaction in being able to comfort and possibly help them. Interested in searching out your own paranormal activity? Watch as this group of guys from BuzzFeed goes ghost hunting and test out a number of equipment to see if they can discover anything. Now that you’ve got the gear, time to see what’s lurking around including different types of ghosts. And if you’re interested in learning more about this topic, read about paranormal investigators and what they do in this article. Which piece of paranormal equipment do you think is most essential for hunting down ghosts and other mysterious beings?